Building a waterpark near a historic site has undoubtedly happened in the past - perhaps numerous times. But building a waterpark within mere yards of an 800-year-old church tower and spire is undoubtedly a once-in-several-lifetimes event. 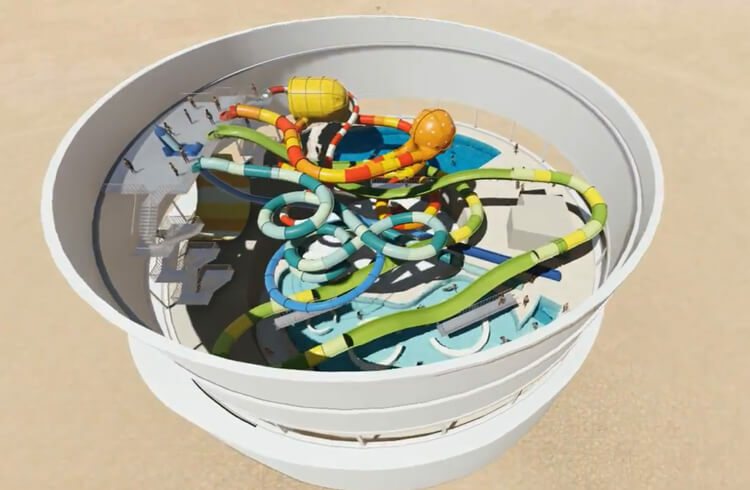 The challenges of situating the new Coventry City Centre Leisure Park in Coventry, West Midlands, Central England, then, was one that required unusual respect and specialized considerations, and Polin Waterparks is honored to have been chosen as the waterslide supplier to this unique project.